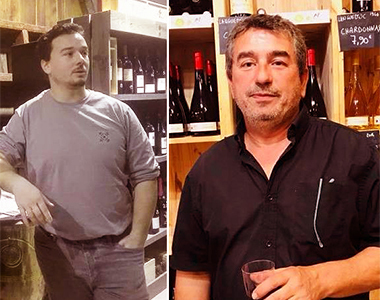 Located in the beautiful Vacqueyras & Gigondas appellations, this estate is one of the references in Biodynamics that it has been practising for over 20 years! 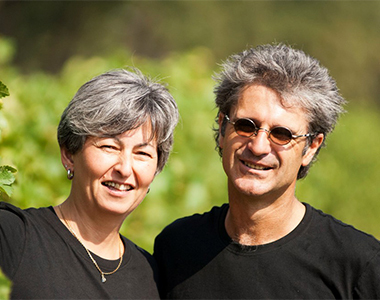 Certified organic since 2013, Guy Salmona's wines reflect the passion & sympathy of their winegrower. 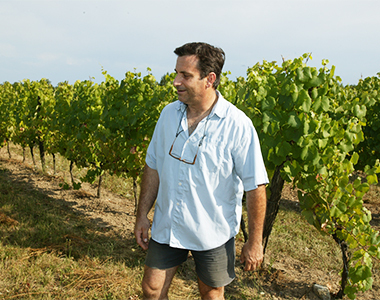 His tremendous work on the very special Negrette grape variety has made the estate one of the most beautiful ambassadors of the Fronton appellation. You may be hearing more and more about vegan or vegan wines. A concept that may come as a surprise since wines made from grapes seemed to be a natural part of vegan products. And yet the vast majority of wines produced in France should not be found in the kitchen of a vegan person! Indeed, to be considered vegan, a food must be 100% made from vegetable matter and must therefore not come from animals or animal exploitation. What are the animal substances present in the wine? They are usually added during the gluing stage. This clarification process makes it possible to recover the yeast residues that have remained in suspension and thus avoid having a cloudy wine. Indeed, consumers are now used to drinking a clear wine without any deposit in the glass. To satisfy this requirement, the winegrowers add a material that coagulates with the tannins and captures the residues. This step is particularly important during rapid vinification, which does not allow the residues to descend naturally by gravity. To make this collage, the winegrowers use many animal materials, such as food gelatin, egg white, fish oil, fish glue (protein from the swim bladder), blood, charcoal, yeast shell, cellulose or gum arabic, casein (milk protein), and even bone marrow pieces. These materials are not part of the wine ingredients because they are then filtered. However, their use during the manufacturing process contravenes the feeding rules of a vegan diet. Indeed, the exploitation of animals to produce a product is not tolerated by this regime. It is also for this reason that a wine cannot be considered vegan if the estate uses animals during the production process as horses for ploughing. Winegrowers who wish to produce vegan wines use different solutions. The first is simply to accept to produce a cloudy wine and therefore not use any glue. Other winegrowers have found vegetable alternatives to animal glue. It is indeed possible to make a fining from vegetable protein from peas, potatoes or wheat. Areorganic wines vegan? Not necessarily. Indeed the specifications of the Organic Label prohibit the fining made from gelatin or albumin based on animal blood, but it allows the fining with egg white or casein. Are biodynamic wines vegan? For the most part. Indeed, biodynamic labels (Biodyvin, Demeter) generally only allow gluing with vegetable material. Only casein (made from milk) is sometimes allowed. It should be noted that kosher wines are necessarily vegan since it is forbidden to use products of animal origin in the manufacturing process. The fining is generally made from bentonite that comes from clay. How to recognize a vegan wine? French legislation is still quite flexible today on indications related to clarification on wine and alcohol labels, so it is difficult to find vegan wines between all the bottles in a wine section. In recent years, the first Vegan Labels have begun to appear: EVE Vegan, VeganSociety or V-Label. 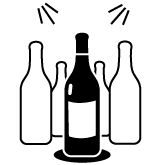 Winegrowers are gradually starting to adopt it but it is still difficult to find it.Since June 2012, the presence of milk or eggs must be indicated on the label of alcohols due to potential allergies. 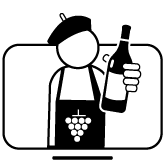 You can also choose natural wines with little or no sulphites if the winegrower indicates that their wines are neither clarified nor filtered.